Countless pathways invite you to walk and to go on a tour. 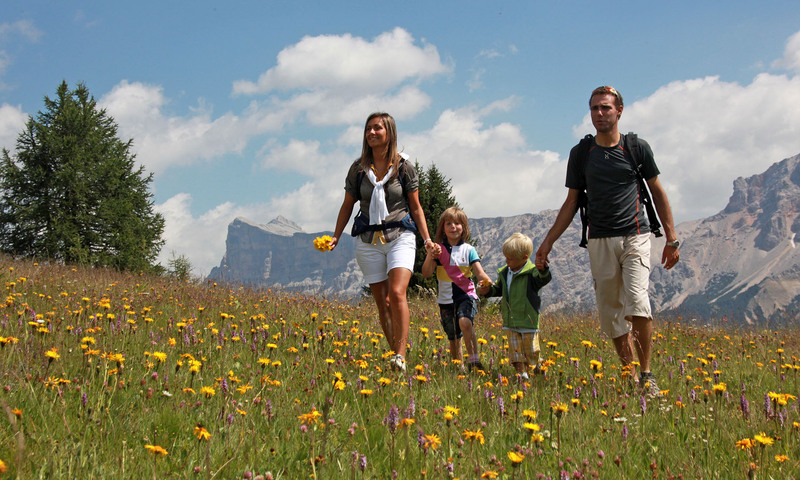 Some paths start directly from the hotel, thus allowing a direct contact with uncontaminated nature. In summer, the meadows of Rit and Armentara (in the Natural Park of Fanes-Sennes-Braies/Prags) are an infinite and dazzling expanse of flowers. Most of the well-signalled forest footpaths and roads are also ideal to mountain bike. Not far away from our hotel is situated the Puetz-Geisler Natur Park. 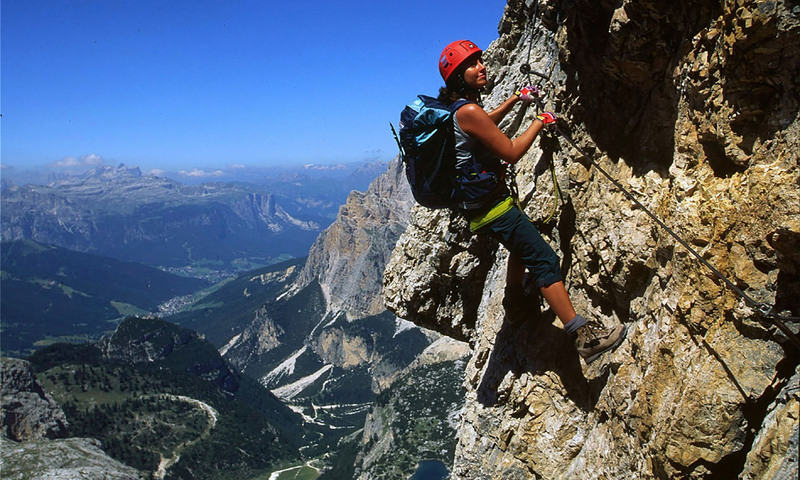 La Val is the first village in South Tyrol to receive the certification of "Hiking Village". The Tourism Association of La Val organises a varied programm of guided tours in the mountains and the hotel operators are happy to provide informations about possible tours to the tourists. 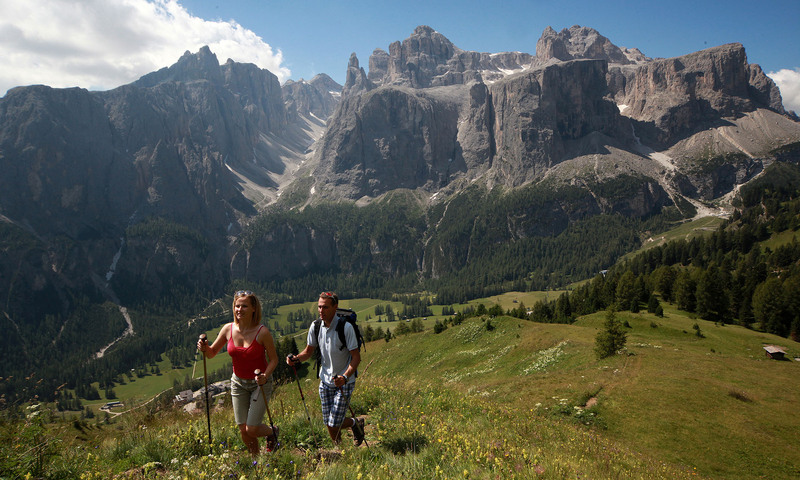 Alta Badia offers wonderful landscapes of the Dolomites. 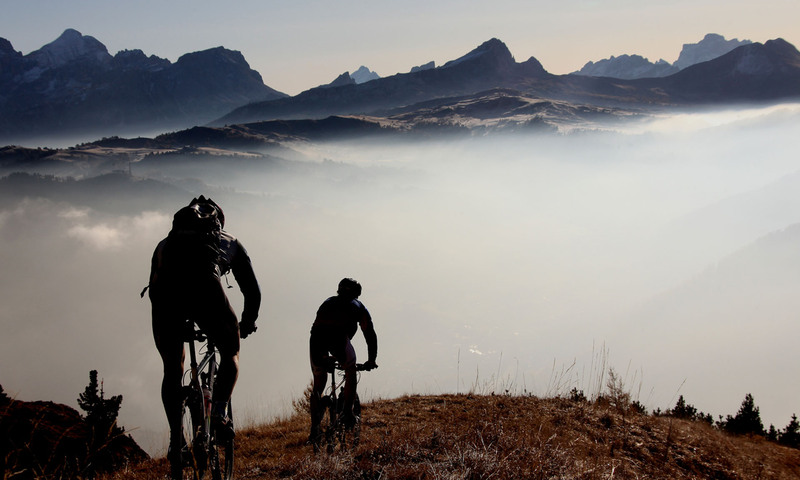 This is the ideal scenery for your mountain bike holiday in South Tyrol! Near the touristic place in the mountain La Valle you can find several mountain bike routes from the easiest to the hardest one, according to the preparation of the biker. One of these routes for expert bikers, starts from La Valle and reaches the Passo del Limo. The route is fantastic and it is worth though the strain! An easier mountain bike route in South tirol starts again from La Valle and permits to explore the lawns of Armentara, the paradise for the lovers of botanic!